Nobody knows your customers better than you do. From what they purchase most to the innovative products that fly the fastest off of the shelves, the key insights that you have into your shoppers’ behaviors can help you make smart decisions that lead to better sales. 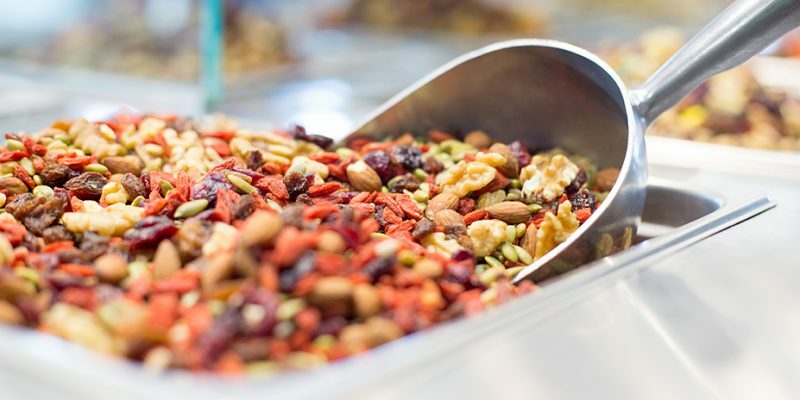 And with our raw materials—including raw nuts, dried fruit, and seeds—you can take that information even further and design your own custom products that appeal directly to your customers’ wants and needs. 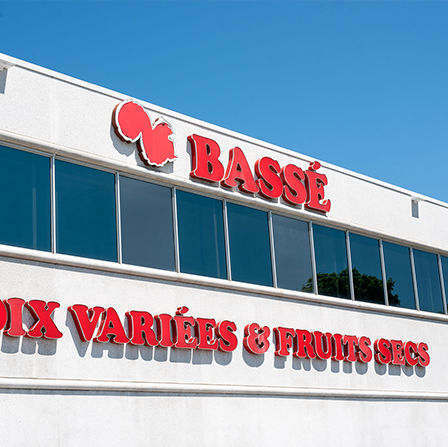 At Bassé, we offer a wide variety of raw materials that can be blended and mixed to produce products that are carefully crafted for your consumer base. Customize every single detail, including the packaging and the dietary certifications, so that you can ensure your original product will hit the mark. Just as we changed the game by making it easy to buy nuts in bulk, we are hoping to help our retail partners lead the way in unique products that are optimized to fit consumer desires. All of our products, from our raw mixed nuts and wholesale cashews to our dried fruits and edible seeds, come from our trusted global supplier network. We are proud to source some of the very best products from all over the world and make them available to our retail partners. We have been building a strong foundation of supplier relationships for more than 30 years so that we can pass those benefits on to you. Our raw materials come with the same guarantees as the rest of our products, as well as the longstanding commitment to quality that plays in to every single thing that we do. Central to our operations is you, the business owner, as well as the health conscious consumers who purchase our products. We always strive for professionalism, and our employees are held to strict quality standards so that the products that are handled at our state of the art 50,000 square foot facility meet all necessary requirements. We produce over 100 varieties of products in multiple formats that include form-fill and seal, resealable stand-up pouches, PET and acrylic jars and more. Available certifications include organic, gluten-free, kosher, and vegan, to name a few. We have built our business in raw nuts bulk buying, but we know that there is more to creating great products than just great ingredients. We welcome the creativity of our retail partners, and love to see what you can do with our raw materials. If you are looking for a supplier of raw nuts, dried fruits, and seeds, either to design your own products with or to stock your bulk bins, we invite you to get in touch. Work with our business and product development teams to come up with a supply plan that is all your own, and discover additional ways of meeting your customers’ healthy snacking needs. Ready to get started? Reach out to us today to learn more about our raw materials, as well as our wholesale and private label services. We look forward to working together and making something great. Come See us today !